Hopes are high that a successful new era for Dunfermline is about to start after supporters group, Pars United, officially took over their club. 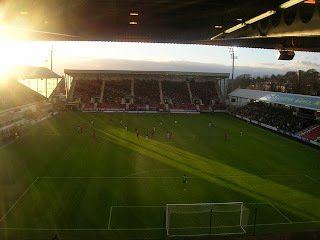 The Pars entered administration in March and were docked 15 points as a result. The deduction contributed to them finishing ninth in the Division One table and they were relegated after losing a two-legged play-off to Alloa Athletic. The team has regrouped this term under the experienced former Hearts, Bradford City and Kilmarnock manager, Jim Jefferies, and they are currently third in the third tier of Scottish football, behind current title favourites in the football betting, Rangers, and Stenhousemuir. It has been quite a fall from grace for Dunfermline as they were playing in the SPL just two seasons ago. As was reported in the press and the live football commentary, their problems escalated 12 months ago when they failed to pay the players’ wages on time and it was discovered that there were unpaid tax bills due to HM Revenue and Customs. When they were faced with a winding-up order, the Pars opted to go into voluntary administration seven months ago but there are now signs of the green shoots of recovery at East End Park. New chairman, Bob Garmory, knows it won’t be easy but believes plans are in place to ensure the club’s long-term survival. "This is a proud day for me. I’m delighted we’ve managed to negotiate our way through it because there have been serious issues to resolve. "But we’ve been fortunate to have a lot of Pars supporters who have come forward with their skills and enthusiasm. We’ve tackled everything thrown at us. "There has been a huge amount of work done by so many people - and all for no recompense. It sounds an awful thing to say but with the fans now owning the football club they’re going to have to pay for that privilege."